To help you avoid the confusion and hassle of filing your taxes and navigating ever-changing regulations, RAA now offers tax return preparation and guidance1 as part of our financial planning services. 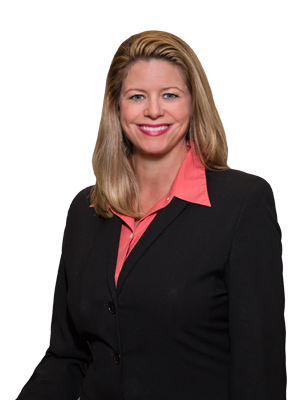 With extensive experience in the tax industry, Kristi and her team can prepare your annual tax return, as well as guide you through federal and state tax issues, estate tax consequences, navigating the many changes under the Tax Cuts and Jobs Act, and more. She offers an individualized approach tailored to your unique tax and financial situation and will make sure that your return is filed accurately while utilizing any tax advantages available to you. She can also prepare business, trust, and partnership returns. Request a call or an email to learn more. Kristi joined RAA in 2017, and brings 20 years of experience in both tax and accounting to the firm. Prior to RAA, Kristi spent six years running her own CPA practice specializing in airline pilot tax returns. She also worked at a regional CPA firm, at Ernst & Young with a focus on tax services, and in industry tax accounting for one of the largest cement/aggregates companies in the US. Kristi graduated from Delta Connection Academy’s Professional Pilot program with her commercial pilot’s license and certified flight instructor license and spent several years as a sales manager for Columbia Aircraft, Cessna Aircraft, Mooney, and Diamond Aircraft. She is a Certified Public Accountant, licensed in the State of Texas.